The SXSW Film Festival announced the Audience Awards winners on Saturday, March 17 from the Narrative Feature Competition, Documentary Feature Competition, Narrative Spotlight, Documentary Spotlight, Visions, Midnighters, Episodic, 24 Beats Per Second, Global, Festival Favorites, and Design Award categories. We are thrilled to announce the addition of Isle of Dogs, directed by Wes Anderson as our Audience Award winner for Headliners! Audience Awards results for all categories were certified by the accounting firm of Maxwell Locke & Ritter. The SXSW Film Awards are presented by FilmStruck. The Audience Awards follow the previously announced 2018 Jury Awards, which included Grand Jury Winners Thunder Road for Narrative Feature and People’s Republic of Desire for Documentary Feature. 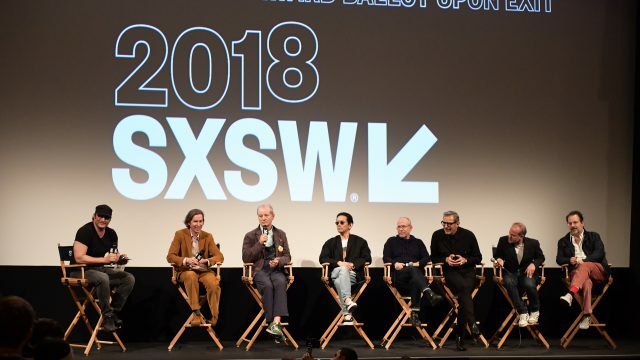 Browse the full list of 2018 SXSW Film Festival Announces Jury and Special Awards winners and stay tuned to SXSW News and the SXSW YouTube Channel for continued 2018 event coverage.